Green chilli - 2-3 nos. 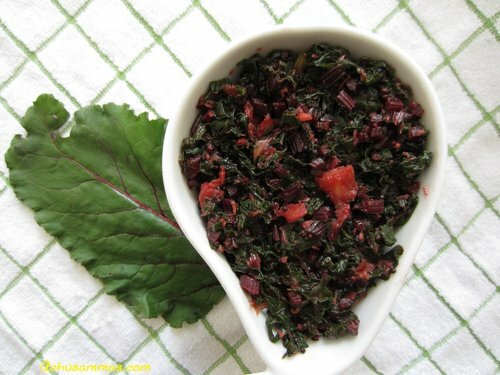 · Wash and finely chop the beetroot leaf. · Heat oil in a pan , add mustard seed,when stop crackling ,add mashed garlic and sauted for 5-10 minutes,when start to change garlic's color lightly brown add chopped green chilli with chopped beetroot leaf. · Finally add the grated coconut and keep low heat for about 5 minutes.